Looking for a Way to Market Your Brand That Works? If you are in charge of marketing your brand, tradeshow or event, why not get a great return on your investment and help your prospects, clients and attendees go eco by designing a custom, reusable bag? It’s like having walking billboards for your brand or event for literally 3-5 years. Plus, you can create any type of reusable bag that you can imagine. from backpacks to messenger bags to recycled grocery bags, the only limit is your imagination. If you are interested in creating a customized reusable bag, we’ve made it incredibly easy to design a bag that looks and functions exactly the way you want it to in just 4 easy steps. Check out this page to go through a simple four step process that will let you make your very own custom reusable bag or read on to give a quick explanation of the process. Size and material are the big decisions when it comes to designing your brand’s reusable bag and once you’ve got these decisions made, the rest of your custom reusable bag design will fall into place. In order to determine the best size of your reusable bag, you should think about how your customers, prospects and attendees will use your branded bag. If you want to create a reusable shopping bag, select a size that will accommodate plenty of groceries while still being comfortable to carry. If you’re thinking the bag you create for marketing will be ideal for work, be sure the bag is properly sized to accommodate a laptop, notebooks and other items that will probably be carried in it. The second key decision is the material. Again, how the bag will be used will help drive this decision as well as your brand’s eco objectives. Woven and non-woven polypropylene are both made from recycled materials and are recyclable, while jute and cotton are both sustainable, natural fibers. The color of your custom reusable bag should match your established branding colors to create a cohesive look. 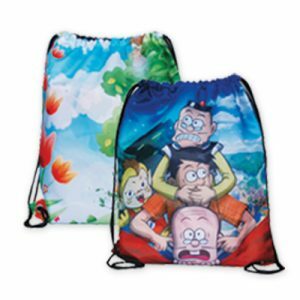 We offer a wide range of bag colors and even some metallic options. When choosing the color of your bag you should also give some thought to the color of the printing that will be on the bag. You want a bag color that allows the printing color to stand out and be easy to read. All of the colors should fit your marketing colors, but at the same time you want your logo, contact info and any other info imprinted on the bag to be legible. This is the step where you really get to customize your bag. What material do you want to use for the trim and handles? How long do you want the handles? Do you want to add pockets or a zipper or maybe another type of closure? These finishing touches will give your bag a polished look and will also build some extra function into your bag. The more functional and useful your bag, the more your customers and prospects will reach for it and carry it, and the more exposure they will give your brand. The last step in this process is to simply fill in your info. Let us know who you are and how we can get in touch with you and if you have specific questions or concerns let us know in the comments field. We’ll put together a quote and follow up with you ASAP. At this point we can answer your questions, so you can place your order with confidence. 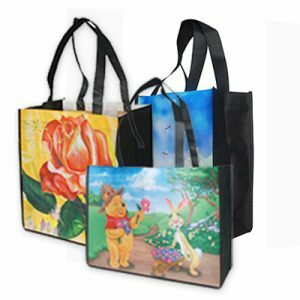 So that’s it – this is all you need to do to design a customized reusable bag that meets your specifications and is sure to be a favorite of your customers and work to market your brand for years to come. What’s The Problem with Tap Water? Why Use Reusable Grocery Bags? This Earth Day Plant for the Planet with Treecycler and Factory Direct Promos!